GoPro stock just jumped off a cliff. The action camera maker reported sales of $240.6 million for the third quarter, down nearly 40% from the same period a year earlier and well below Wall Street's estimates. GoPro (GPRO) now expects to bring in between $1.25 billion and $1.3 billion in revenue for the full year, down from its earlier estimate of $1.35 billion to $1.5 billion. To make matters worse: the company posted a net loss of $0.60 per share, far worse than the consensus estimate among analysts. The stock was halted for about 35 minutes after the earnings release and quickly fell 20% when it resumed trading after hours. GoPro has struggled to expand beyond its niche market of people who want action cameras. In mid-September, the company announced a new version of its classic camera and expanded into drones with the launch of the Karma. But these products likely did little for its sales in the third quarter, which ended September 30. Despite the dismal results, GoPro CEO Nicholas Woodman expressed confidence that it would "return to profitability" thanks to "the strength of our new products." "These are the best products we've ever made and consumer demand is strong," Woodman said in a statement. 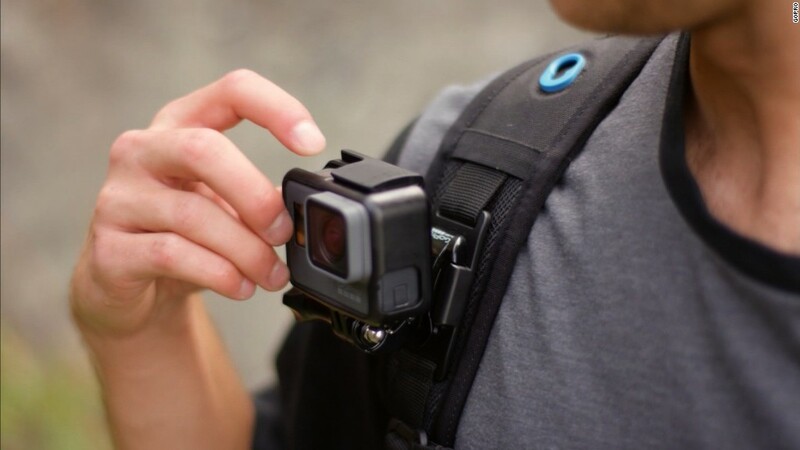 On a conference call with analysts after the release, GoPro execs said they plan to reduce operating expenses to ensure profitability, but stayed vague on where those cuts would come from. Even before releasing results, GoPro's stock fell 7% in regular trading Thursday, in part because of Fitbit (FIT), as the two company's stocks often trade similarly. Fitbit on Wednesday projected that sales in the upcoming holiday quarter would be significantly below previous estimates. That sent Fitbit's stock down 30% overnight.